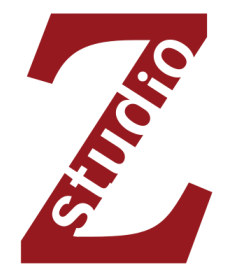 “trad/mod” is a new series of occasional concerts at Studio Z that features innovative musicians from around the world who are keeping their traditions alive by transforming them in new and exciting ways. This concert features Brazilian pandeiro virtuoso Sergio Krakowski. Born on December 18th 1979, Sergio Krakowski dedicated his whole life to the Pandeiro, also known as the Brazilian Tambourine. A complete “hand drum kit”, this instrument has always been considered a symbol of Brazilian Music and Culture. Crossing whatever national and cultural barrier, Sergio made this instrument a possible tool in various musical genres, from the Choro, the fundament of Brazilian Music, to Jazz, Contemporary and Electronic Music. In twenty years of career, Sergio Krakowski has shared the stage with artists such as Maria Bethânia, Gonzalo Rubalcaba, Lionel Loueke, Donny McCaslin, Anat Cohen, David Binney, Edmar Castañeda, Cyro Baptista, Gregoire Maret, Tigran Hamasyan, Dan Weiss, Miles Okazaki, John Escreet, Nate Wood, Lenine, Chico César, David Linx, Chano Domínguez, Maria João, Mario Laginha, Nelson Veras, Yamandú Costa and Hamilton de Holanda. In June 2013, Sergio moved to New York and got involved in many musical projects, recorded on the album “Anacapa” by David Binney, joined Edmar Castañeda’s World Music Ensemble, created a duo project with Cyro Baptista that played at the legendary experimental music headquarter, The Stone, and joined the Choro Aventuroso, Anat Cohen's Brazilian music band that performed in NYC's most prestigious venues such as the Jazz at Lincoln Center, the 54 Below, and outside the US, at the Umbria Winter Jazz Festival. Although Sergio Krakowski is involved in many collaborations, his musical statement can be found in his new album “Sergio Krakowski Trio - The Foundation of the Island” to be released in May 2016. Four songs inter-connected by a minimalistic technique of rhythm metamorphosis that has been the subject of Sergio's musical researches for several years and, together with free form jazz tools, creates a unique and unified flow of music. That is how he proposes this work where he acts as composer, arranger and musician, side by side with Vitor Gonçalves on the piano, who collaborated with artists such as Hermeto Pascoal, and Todd Neufeld on the guitar, who has been a member of Lee Konitz's Quartet, Masabumi Kikuchi's TPT Trio and Tyshawn Sorey's band. Besides his musical career, Sergio plunged into the application of his knowledge acquired in a Computer Music PhD to allow percussion instruments to trigger videos, control effects and interact with the machine, creating real time dialogues between percussionist and computer. This research turned into an electronic music project named “Talking Drums“ that has been commissioned by the NY State Council of the Arts and presented in a myriad of stages such as The Guggenheim Museum of Bilbao, Drom - NYC, (Le) Poisson Rouge - NYC, Oi Futuro - Rio de Janeiro, and at the Museum of Moving Image - Queens - NYC, as part of the NY Electronic Art Festival 2015. One goal of that work is to use technology to actually make the drum speak. Behind this idea there is a strong artistic research on what is the limit between rhythm and spoken language that takes us to ancient times where, probably, the distance between these two things was smaller or nonexistent.